For your info: This BMX Park and street Schwalbe "Big Street" BMX Tire (foldable) is stated with a measuring of 20" x 2.15" but achieves an actual width of 20" x 02.30" when inflated. This BMX tire has been developed in collaboration with Pro BMX rider Felix Prangenberg and was tested up to its launch through its paces. 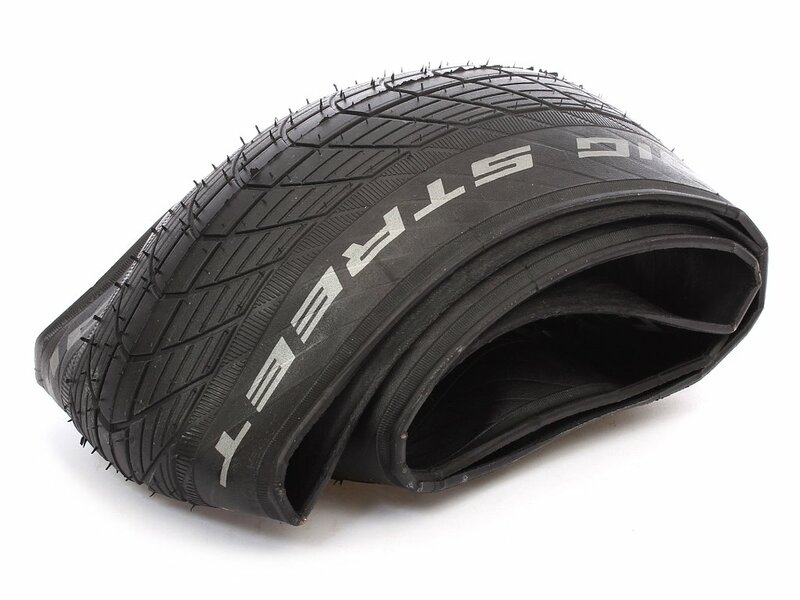 Its dual rubber compound provides great grip on the street and in the park. 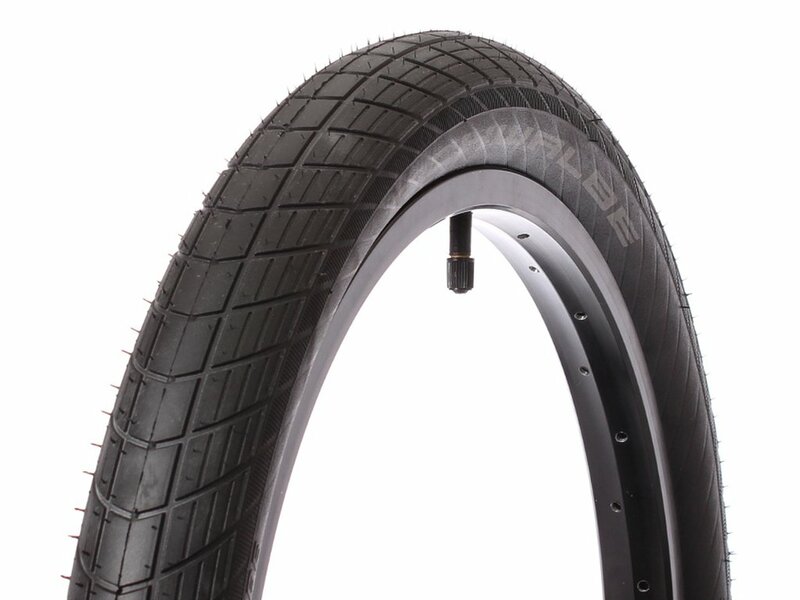 The "Snake Skin Fabric" protects the sidewalls of the Schwalbe "Big Street" BMX Tire (foldable) while grinding. Here you will get a top modern, light weight and wide folding tire for a very good price-performance ratio.